Does there have to be a sub in substantial sound? 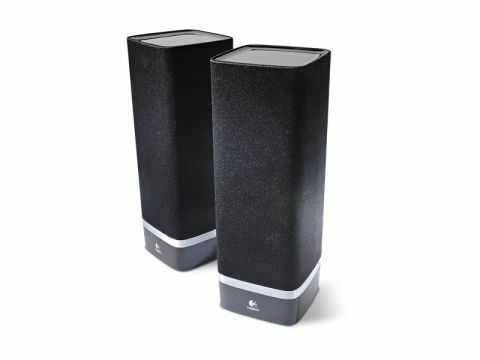 The Logitech Z-5's unique selling point is its omni-directional cabinet design, the idea being that if you sit the speakers on a table in the centre of a room, the same sound can be enjoyed from any point on their circumference. Audio emitted backwards will also reflect off walls to create a more room-filling sound. While we're certainly willing to entertain this notion, the cynical physicist in us worries that placement too near a wall may increase the chance of phase cancellation playing havoc with the stereo image. That said, in tests we struggled to hear anything other than what we'd expect from standard stereo speakers. Sound quality isn't superb – the flabby, hollow bass won't give any subwoofer a run for its money, and things start to fall apart at higher volumes, with distortion and clipping appearing – harsh, digital noise, not the warm analogue kind. That said, it's more than we might have expected from such lightweight stereo speakers; you're paying for a delicate compromise of power, portability and audio performance here. An iPhone-esque remote control is included, though as omni-directional as the speakers themselves may be, it only functions reliably when aimed straight-on. One of the main lures of the Z-5 is its ease of USB power; unlike the speakers' big brother, the Z-10, no mains power is required. This does limit their performance somewhat; at only 2 watts it's likely that all but the most intimate of parties will remain un-rocked. Sit them beside your MacBook, however, and you'll rarely need to turn the volume past half way. While music fidelity is hit and miss, movies are more forgiving – a situation that's acceptable at this price.